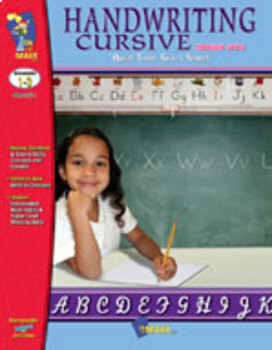 Build Their Skills – Handwriting Cursive, Modern Style, is an effective resource for teaching cursive handwriting skills. Meaningful exercises will interest students as they practice their handwriting. This book provides practice writing cursive in the modern style in creative ways. On each page, children will practice writing the focus letter, a word associated with that letter, and then a sentence. Dolch sight words are included on each page. Dolch sight words are among the first words children learn, many of which either can’t be sounded out or can’t be illustrated. Use of these words reinforces reading and writing skills.